The day to day operations of a non- profit would not be possible if not for the support of the community. Every resource, connection, and contribution holds more value when they are limited and inconsistent. Even the basics can be difficult to come by if the demand becomes high, and as much as you plan, some situations cannot be helped. 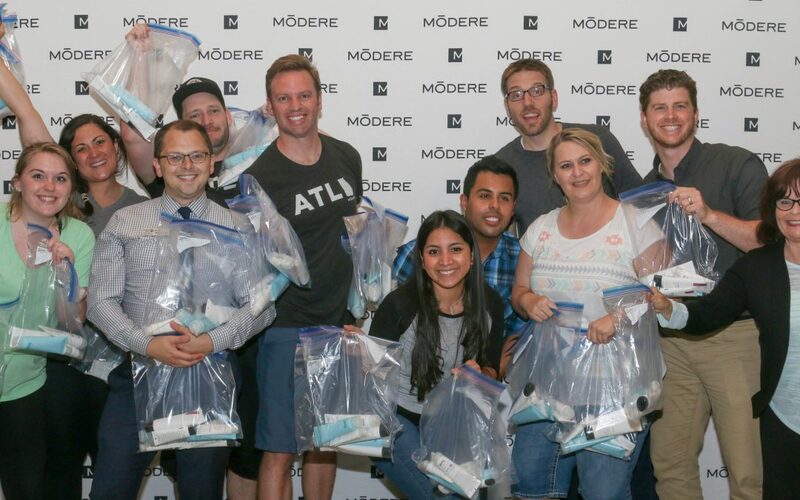 A few months ago, we were fortunate to be gifted a variety of toiletries from Modere. In collaboration with United Way, they assembled 300 “hygiene packs” for our new and potential clients. Each pack contained a combination of shampoo, toothpaste, conditioner, mouth wash, and body cleanser. In addition to the already assembled bags, they donated enough inventory to make around 150 more. These basic necessities are given to every new client that comes to our office in an effort to reinforce the feeling of a fresh start. With the organization steadily growing and accepting as many people as we can, these items were a blessing, and made it possible to use funds for additional items and services. We would like to thank Modere and United Way for their contributions and continuing support.